We’ve all heard that old guy-talk car conversation, haven’t we? “How’s the new car, John?” “Great! She handles like a dream.” It seems like handling is one of the first things that come to mind when we judge what a car is truly like to drive. That makes it a pretty important aspect when choosing a new car. Important enough for us to take the time and research Car and Driver, Consumer Reports, Edmunds, and Motor Trend to find the best handling sedans available for the 2011 model year. No matter what size or category you’re looking for, we’ve found the best overall choices. 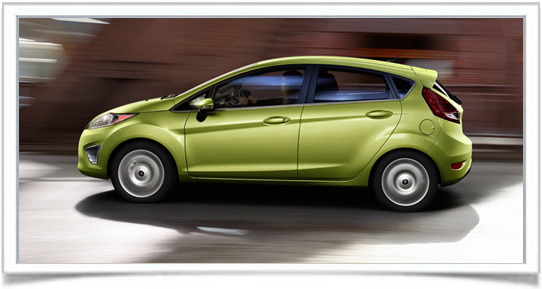 “We can say without hesitation that the 2011 Ford Fiesta provides the most rewarding drive in its class. Its steering is the new segment benchmark, from the weighting of its effort to the immediate and precise response.” (www.edmunds.com) It also possesses some of the best suspension you’ll find in a compact sedan, soaking up bumps in the road with ease. The interior is reminiscent of cars costing much more with its tight build quality and metallic accents, but the technology of Ford’s Sync system is the biggest joy of all. The Altima possesses several high-tech luxury features in its interior, but it’s the high-tech luxury handling that lands it this spot. For a $5,000 upgrade you can get the 3.5L V6 and make it a truly fun car to drive, but most will be pleasantly happy with the base four-cylinder giving 23/32 mpg (city/highway). Unfortunately, the high-tech features we mentioned earlier are only available in bundled packages that can get to be rather pricy if you go overboard. 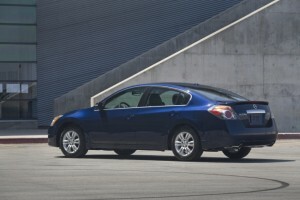 Whether it’s the all-wheel drive or the 3.7L V6 engine, the G37x is a truly engaging full-size sedan. It attacks curves with a noted praiseworthiness, keeping body roll to a minimum and responsive steering to a maximum. The Sport model features even better handling as it possesses a quicker steering ratio. The interior is loaded with user-friendly electronics, and overall materials quality, while not spectacular, is commendable. Audi is leading the way in terms of handling for luxury sedans. 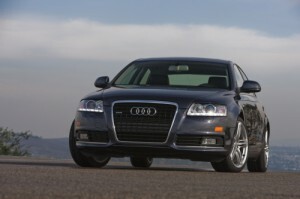 The A6 is available with all-wheel drive, but don’t expect it to increase your handling as it doesn’t get much better. It will, however, make those drives in bad weather much more tolerable. The 2011 model comes with Audi’s new Multi-Media Interface (MMI), which controls entertainment, communication, and standard navigation functions. Being an Audi, expect a bevy of luxury options, but definitely at a luxury price. Please notice the “Sport” on the end for this one. The base model Ford Fusion provides handling that is both numb and light. The Sport model, on the other hand, takes things in a whole new direction. Whatever Ford is doing with this particular trim level, they should incorporate it into the base levels as well. The Sport model will also get you the more powerful 3.5L V6 engine, which is unavailable in any other trim level. Ford’s new MyKey system also comes standard, as do blind-spot mirrors, keyless entry, and satellite radio.